Meet the Handle Plus: a simple tool that attaches to your iPad and lets you carry it conveniently or use it hands-free. The Handle Plus can be installed and switched between your devices in seconds. 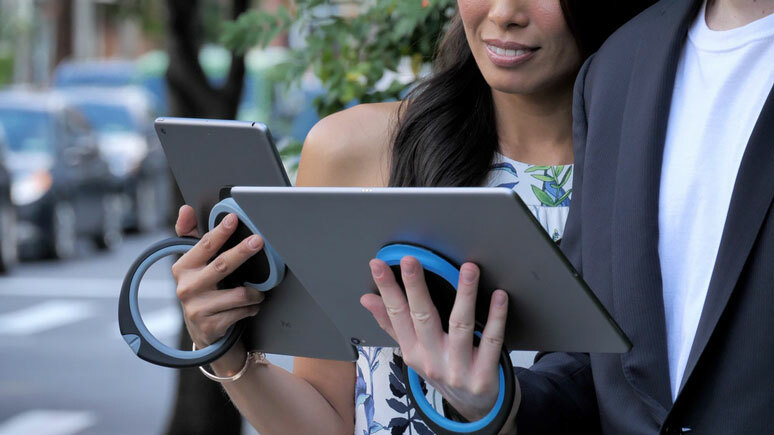 It features 360-degree rotation and doesn’t weaken after you attach it to your tablet. The Handle Plus also works as a hanger and stand. It is pretty slim and won’t get in your way. It works on Kindle, Galaxy Tab, Nook, iPad, and other similar tablets.